Once in a while I loose or miss place my keys. When I find them I think to myself I need to go get a second set made! I feel the same about getting a Flat TIre on my trailer. Not to long go I was coming back from a job with my skid loader in tow. I hit a pot hole and blow out a tire. With no spare on hand. I limped the trailer to a friends shop. Left it for a week until I had a spare built. At the time I used a tradition jack to put the new tire on. Not until later that year at x-mas my wife asked for a Trailer Helper for her Horse trailer. I had no clue. That's a trailer helper? Ask any horse person with a tandem axle trailer-they'll tell you. So merry x-mas to me too. The way the Trailer Helper Aid or also called a "Jiffy Jack" works you drive the trailer up on the ramp with the good tire. 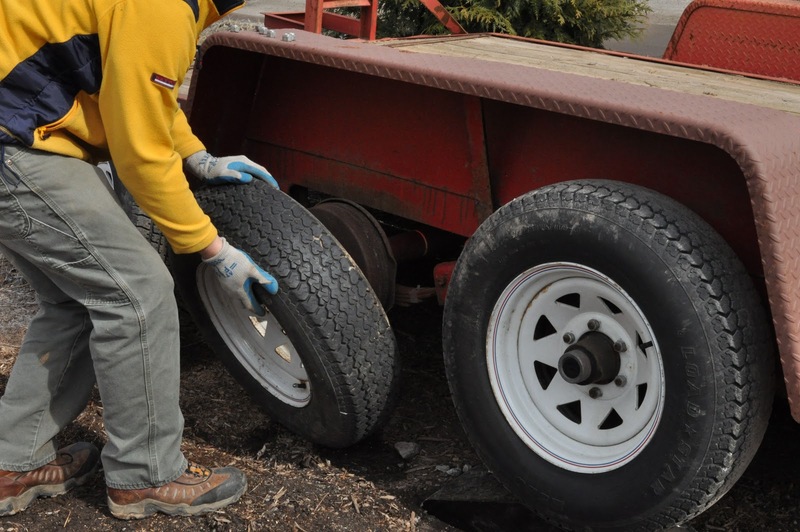 Which in turn allows you to remove the damaged tire since it is now lifted off the ground. 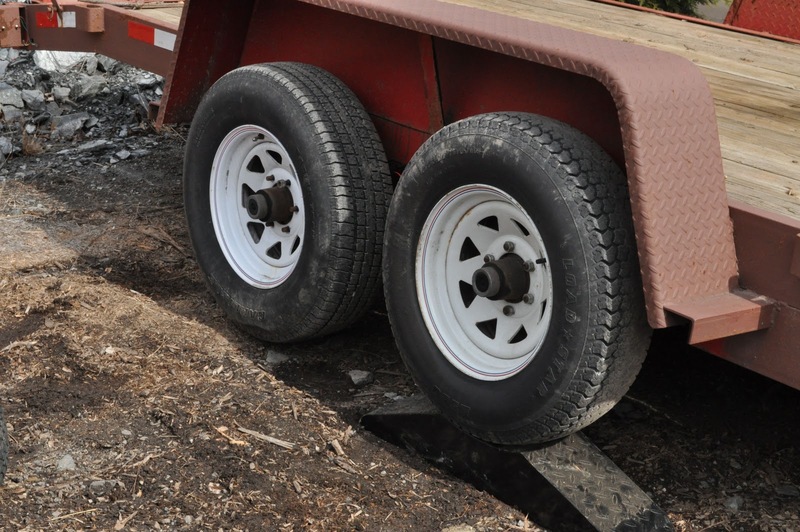 Be sure to loosen your lug nuts - a bit - with the trailer on the ground. Its that easy! You can find these all over the web. They run around $40 +/-. 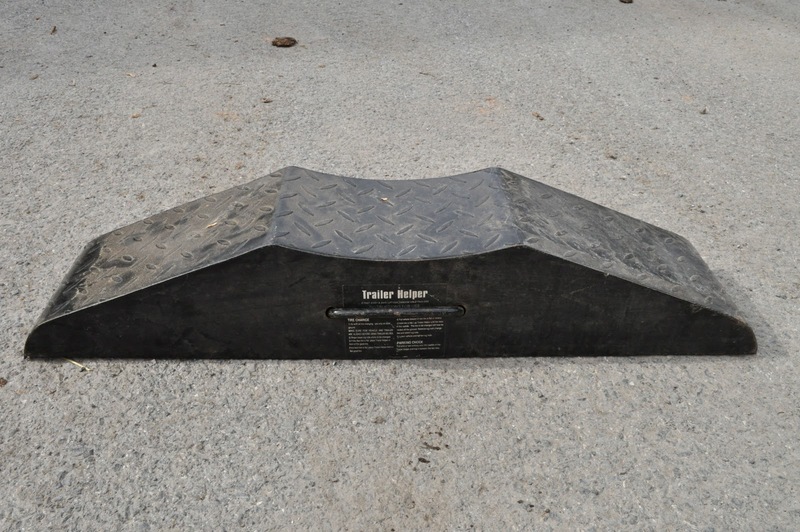 The Trailer Helper is designed for tandem axle trailers. With regular torsion bar suspensions up to 14,000 pounds. With slippery spring suspensions or leaf spring or up to 8,000 pounds. My Trailer Helper is made out of Steel. Weighs about 12 pounds. Measures to 33" long by 7" side and will lift the tire off the ground up to 5 1/4". When not in use it can double as a tire chalk. Now you're ready for that "what if?" Now that's better and safer than a jack! You just need to remind yourself to always - ALWAYS! - bring a spare. And in another angle, I've never seen a tow truck towing a truck before.